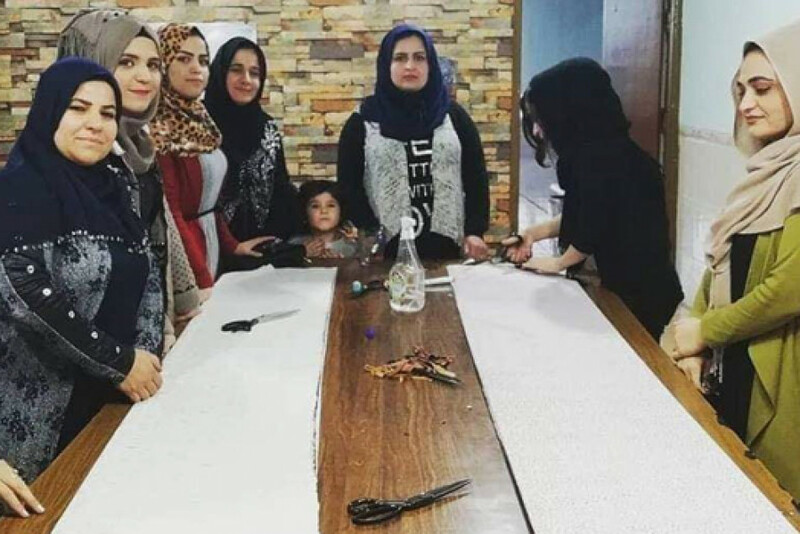 Nigar Omer- Garmian Dozens of women in the Garmian area have become successful entrepreneurs in the last couple of years, after overcoming numerous hurdles; some of them are pursuing bigger dreams. These women entrepreneurs say they were able to achieve success in theirs first ever ventures and help provide a better life for their families. They were also able to remove differences between men and wome in a competitive job market, marking a bright point in their lives. Hawdang Hassan, 25, who lives in Kifri, a disputed territory, started a tailoring shop business with one of her friends despite what she calls the “obstacles her social environment created for her.” “Besides being a government employee, I thought of investing in my tailoring skills to start a business”, she said. She discussed the idea with another woman; and now they both run “Mirwari” tailoring shop. “our society’s traditions often become an obstacle for women in this town, otherwise they have great potential skills and ability to succeed in all fields”, says Hawdang. The majority of Hawdang and her co-worker’s customers are women. They urge all those who have desire to become business owners to come out and pursue their dreams. “I have bigger dreams, which I will try to achieve them in the future”, said Hawdang. In a rather closed society, harmful traditions have always hindered the empowerment of women, and have rejecting their presence in the business market. However in the past few years a considerable number of brave women managed to break the chains of tradition starting their own business projects. Shirin and Nigar, both veterinarians from Kifri also decided to choose the path of self-employment soon after they graduated. Shirin Kan’an, 32, says she couldn’t wait any longer until she finds a government job; therefore she decided to work on her plan. “I decided to start a veterinary clinic with one of my colleagues. We provide our services in all the villages across Kifri”, said Shirin. Nigar Majid, 44, said their work is appreciated by villagers. “What more encourages us is the fact that villagers prefer us on most of the male veterinarians because they say our work is of better quality.” These two veterinarians treat all types of animals. “Together we perform surgeries for animals. We go anywhere we are needed and ignore what some people might say”, said Nigar.